A document of 1504 showing King Henry VII sitting in the Star Chamber and receiving William Warham, Archbishop of Canterbury, Richard Foxe, Bishop of Winchester, and clerics associated with Westminster Abbey and St Paul's Cathedral, as well as the Mayor of London. Look up star chamber in Wiktionary, the free dictionary. This article is about the court. For other uses, see Star Chamber (disambiguation). The Star Chamber (Latin: Camera stellata) was an English court of law which sat at the royal Palace of Westminster, from the late 15th century to the mid-17th century (c. 1641), and was composed of Privy Councillors and common-law judges, to supplement the judicial activities of the common-law and equity courts in civil and criminal matters. The Star Chamber was established to ensure the fair enforcement of laws against socially and politically prominent people so powerful that ordinary courts would likely hesitate to convict them of their crimes. The first reference to the "star chamber"[lower-alpha 2] is in 1398, as the Sterred chambre; the more common form of the name appears in 1422 as le Sterne-chamere. Both forms recur throughout the fifteenth century, with Sterred Chambre last attested as appearing in the Supremacy of the Crown Act 1534. 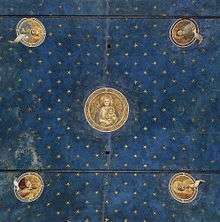 The origin of the name has usually been explained as first recorded by John Stow, writing in his Survey of London (1598), who noted 'this place is called the Star Chamber, at the first all the roofe thereof was decked with images of starres gilted', Gold stars on a blue background were a common medieval decoration for ceilings in richly decorated rooms, as still to be seen at Leasowe Castle, Wirral, the Scrovegni Chapel in Padua, and elsewhere. Alternatively, William Blackstone, a notable English jurist writing in 1769, speculated that the name may have derived from the legal word "starr" meaning the contract or obligation to a Jew (from the Hebrew שטר (shetar) meaning 'document'). 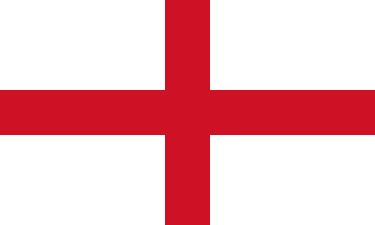 This term was in use until 1290, when Edward I had all Jews expelled from England. Blackstone thought the 'Starr Chamber' might originally have been used for the deposition and storage of such contracts. However, the Oxford English Dictionary gives this etymology "no claim to consideration". Other etymological theories mentioned by Blackstone on the use of star include the derivation from steoran (steer) meaning "to govern", it was a court used to punish (crimen stellionatus) (cozenage) or the chamber was full of windows. The Court evolved from meetings of the King's Council, with its roots going back to the medieval period. Contrary to popular belief, the so-called "Star Chamber Act" of King Henry VII's second Parliament (1487) did not actually empower the Star Chamber, but rather created a separate tribunal distinct from the King's general Council. Initially well regarded because of its speed and flexibility, Star Chamber was regarded as one of the most just and efficient courts of the Tudor era. Sir Edward Coke once described Star Chamber as "The most honourable court (Our Parliament excepted) that is in the Christian world. Both in respect of the judges in the court and its honourable proceeding." The Star Chamber was made up of Privy Counsellors, as well as common-law judges, and it supplemented the activities of the common-law and equity courts in both civil and criminal matters. In a sense, the court was a court of appeal, a supervisory body, overseeing the operation of the lower courts, although it could hear cases by direct appeal as well. The court was set up to ensure the fair enforcement of laws against the English upper class, those so powerful that ordinary courts could never convict them of their crimes. Another function of the Court of Star Chamber was to act like a court of equity, which could impose punishment for actions which were deemed to be morally reprehensible but were not in violation of the letter of the law. This gave the Star Chamber great flexibility, as it could punish defendants for any action which the court felt should be unlawful, even when in fact it was technically lawful. However, this meant that the justice meted out by the Star Chamber could be very arbitrary and subjective, and it enabled the court to be used later on in its history as an instrument of oppression rather than for the purpose of justice for which it was intended. Many crimes which are now commonly prosecuted, such as attempt, conspiracy, criminal libel, and perjury, were originally developed by the Court of Star Chamber, along with its more common role of dealing with riots and sedition. The cases decided in those sessions enabled both the very powerful and those without power to seek redress. 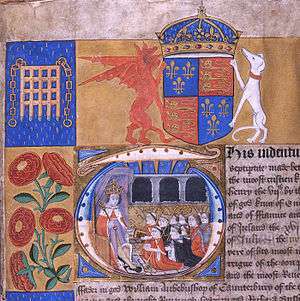 Thus King Henry VII used the power of Star Chamber to break the power of the landed gentry which had been such a cause of problems in the Wars of the Roses. Yet, when local courts were often clogged or mismanaged, the Court of Star Chamber also became a site of remittance for the common people against the excesses of the nobility. In the reign of King Henry VIII, the court was under the leadership of Cardinal Wolsey (the Archbishop of York and Lord Chancellor) and Thomas Cranmer (the Archbishop of Canterbury) (1515–1529). From this time forward, the Court of Star Chamber became a political weapon for bringing actions against opponents to the policies of King Henry VIII, his Ministers and his Parliament. Although it was initially a court of appeal, King Henry, Wolsey and Cranmer encouraged plaintiffs to bring their cases directly to the Star Chamber, bypassing the lower courts entirely. The Court was used extensively to control Wales, after the Laws in Wales Acts 1535–1542 (sometimes referred to as the "Acts of Union"). The Tudor-era gentry in Wales turned to the Chamber to evict Welsh landowners and protect themselves, and in general protect the English advantages of the Laws in Wales Acts. One of the weapons of the Star Chamber was the ex officio oath where, because of their positions, individuals were forced to swear to answer truthfully all questions that might be asked. Faced by hostile questioning, this then gave them the "cruel trilemma" of having to incriminate themselves, face charges of perjury if they gave unsatisfactory answers to their accusers, or be held in contempt of court if they gave no answer. The power of the Court of Star Chamber grew considerably under the House of Stuart, and by the time of King Charles I, it had become synonymous with misuse and abuse of power by the King and his circle. King James I and his son Charles used the court to examine cases of sedition, which meant that the court could be used to suppress opposition to royal policies. It came to be used to try nobles too powerful to be brought to trial in the lower court. On 17 October 1632, the Court of Star Chamber banned all "news books" because of complaints from Spanish and Austrian diplomats that coverage of the Thirty Years' War in England was unfair. As a result, newsbooks pertaining to this matter were often printed in Amsterdam and then smuggled into the country, until control of the press collapsed with the developing ideological conflict of 1640–41. The Star Chamber became notorious for judgments favourable to the king. Archbishop Laud had William Prynne branded on both cheeks through its agency in 1637 for seditious libel. In 1571 Elizabeth I set up an equivalent Court in Ireland, the Court of Castle Chamber, to deal with cases of riot and offences against public order generally (though it was also initially popular with private litigants). Under the Stuarts it developed the same reputation for harsh and arbitrary proceedings as its parent Court, and during the political confusion of the 1640s it simply disappeared. In the Star Chamber the council could inflict any punishment short of death, and frequently sentenced objects of its wrath to the pillory, to whipping and to the cutting off of ears. ... With each embarrassment to arbitrary power the Star Chamber became emboldened to undertake further usurpation. ... The Star Chamber finally summoned juries before it for verdicts disagreeable to the government, and fined and imprisoned them. It spread terrorism among those who were called to do constitutional acts. It imposed ruinous fines. It became the chief defence of Charles against assaults upon those usurpations which cost him his life. In 1641, the Long Parliament, led by John Pym and inflamed by the severe treatment of John Lilburne, as well as that of other religious dissenters such as William Prynne, Alexander Leighton, John Bastwick and Henry Burton, abolished the Star Chamber with an Act of Parliament: the Habeas Corpus Act 1640. 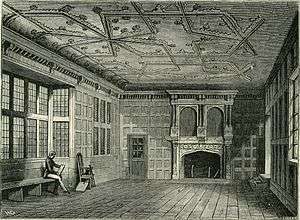 The Chamber itself stood until demolished in 1806, when its materials were salvaged. The door now hangs in the nearby Westminster School and the historic Star Chamber ceiling, with its bright gold stars, was brought to Leasowe Castle on the Wirral Peninsula in Cheshire from the Court of Westminster, along with four tapestries depicting the four seasons. In the late 20th century, the expression was revived in reference to ways resolving internal high-level questions within the government, usually relating to budget appropriations. Margaret Thatcher's government (1979–90) revived the term for private ministerial meetings at which disputes between the Treasury and high-spending departments were resolved. The term was again revived by the popular press to describe a panel set up by the Labour party's National Executive Committee to review expenses claims by Labour MPs in May 2009. In 2010, the term was revived for a committee established by the Cameron ministry to plan spending cuts to reduce public debt. The historical abuses of the Star Chamber are considered a primary motivating force behind the protections against compelled self-incrimination embodied in the Fifth Amendment to the United States Constitution. The meaning of "compelled testimony" under the Fifth Amendment – i.e., the conditions under which a defendant is allowed to "plead the Fifth" to avoid self-incrimination – is thus often interpreted via reference to the inquisitorial methods of the Star Chamber. As the U.S. Supreme Court described it, "the Star Chamber has, for centuries, symbolized disregard of basic individual rights. The Star Chamber not merely allowed, but required, defendants to have counsel. The defendant's answer to an indictment was not accepted unless it was signed by counsel. When counsel refused to sign the answer, for whatever reason, the defendant was considered to have confessed." ↑ "The Ceann Comhairle intervened and said the Dáil could not be used as a "star chamber" warning that people's reputations were involved and if the deputy had information he should go to the gardaí." ↑ "Wallace claims NAMA official sought bribe". RTÉ News. 15 July 2015. ↑ Lord Denning, Landmarks in the Law (1984), p 61–62. 1 2 "Star-chamber, starred chamber"; Oxford English Dictionary, second edition. Oxford University Press, 1989. ↑ S.B. Chrimes, Henry VII, Berkeley: University of California Press, 1972: p. 99. ↑ "Star Chamber". Tiscali.co.uk. Retrieved 2012-03-05. ↑ "Elliot Morley and David Chaytor first to face 'star chamber' as Brown moves to cull expenses cheats | Mail Online". Dailymail.co.uk. 2009-05-19. Retrieved 2012-03-05. ↑ Smale, Will (2010-06-07). "What can the UK learn from Canada's budget cuts?". BBC News. Retrieved 2012-03-05. Cheyney, Edward P. (1913). "The Court of Star Chamber". The American Historical Review. 18 (4): 727–750. doi:10.1086/ahr/18.4.727.